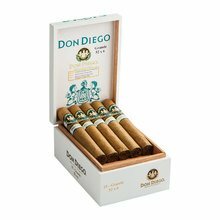 Well, we should first acknowledge the fact that when it comes to Cigar brand preferences, it all boils down to subjectivity. I started out by purchasing and sampling a wide variety of brands in order to get some idea of differences that exist in taste, over-all quality of construction/packaging and reliability or consistency (hard draw versus easy draw) at a reasonable price point. 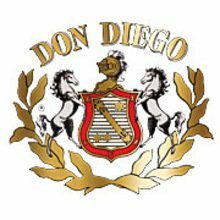 My eventual choice was Don Diego - hands down! It's been my brand now for the past 4 years. 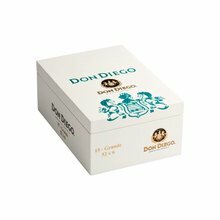 On the negative side, it appears that there's been a recent change in the size/quantity of Cigars per box and price point - smaller boxes and less quantity at a higher price point. Just another sign of the times I suspect. Very nice smooth smoke all around..just needs a little more umpf..
Good smoke with a good after taste. Has a good draw but not a ton of smoke. Good mellow cigar . Nice cigar, I like it! Mild of course, but decent flavor. Construction, draw and consistency so far have been great and I love the aroma. Pleasantly surprised by the quality.